Starting in 2002 Hillsdale High School has redefined the comprehensive high school experience by putting the student’s needs at the center of a nationally recognized Small Learning Community model. Hillsdale combines the best of small schools — personalized learning, extended relationships, grade-level advisory — with the best of big schools — athletics, clubs, and electives. The result is a place that is more than a school; it is a home for students and staff, a place where you will be known. 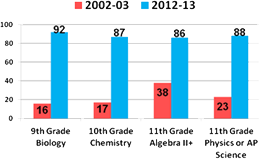 Since Hillsdale’s SLC conversion, the number of students taking AP and advanced academic classes has more than doubled, the school has attained a School Climate Report Card in the 99th percentile of high schools in the state and Stanford University has recognized Hillsdale as a Partnership School. Hillsdale’s efforts have brought increased academic rigor and higher student achievement. Its Academic Performance Index (API) was the lowest in the district in the early 2000s and now it is well above the state-established goal. It is higher overall and within each sub-group. Low-income and Latino students have shown extraordinary growth. Congratulations to the Class of 2016! 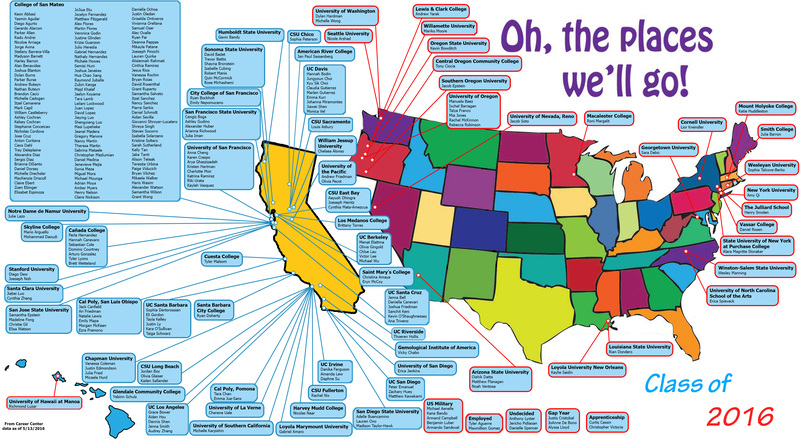 See where they are attending college by clicking here!